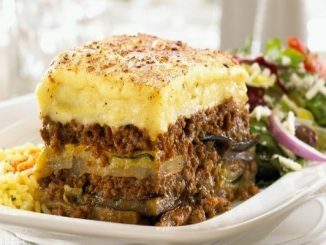 HomeMain courseMoussaka with mushrooms – you can always cook something different! 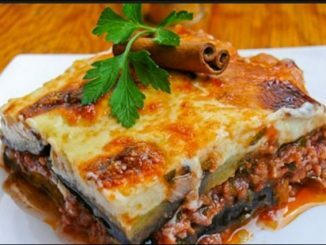 Moussaka with mushrooms – you can always cook something different! 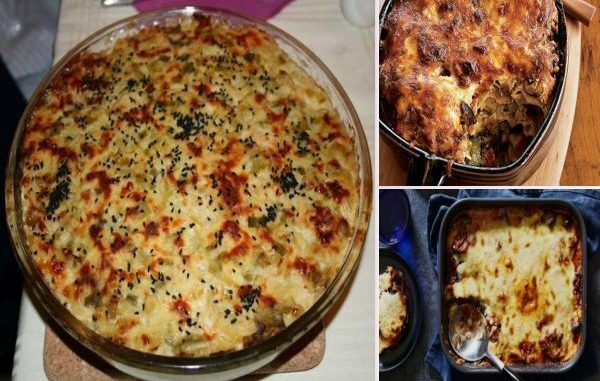 Classic recipes like our favorite moussaka can always be prepared in a new way. Replace the potatoes with mushrooms, and you already have a brand-new, lighter, and equally tasty dish! Wash the mushrooms well and cut them in pieces. Cut the garlic and the onions and the bacon in thin strips. Fry onion and bacon in oil, add chopped mushrooms. Let them crack. After a while add salt, pepper, chopped onion, a little oregano, parsley and veggies. In a greased refractory tray, arrange 5 slices of bread pre-soaked in milk. Apply half the mushroom filling evenly. Now make another line of bread dipped in milk. On it – the rest of the filler. Beat the eggs and add yogurt to them. Mix to obtain a homogeneous mixture. Pour this liquid onto the mushroom in the pan and place it in a preheated oven at 160 degrees for about 20 minutes. Then let it cool and bring it to pieces!